San Clemente Pier in San Clemente, California is an extensive pier which boasts magnificent views of the Pacific Ocean. The pier is the perfect playground for a host of activities such as free fishing, as well as indoor and outdoor dining. It is also an ideal surveillance point for surfing competitions, sports activities and beach amusement. The pier is open daily from the peach tones of dawn at in 4AM in the morning to penetrating night sky of midnight. These hours allow a large window of time for a leisurely stroll. The pier is a great destination for anglers who want to get some early morning fishing in as the sun rises. 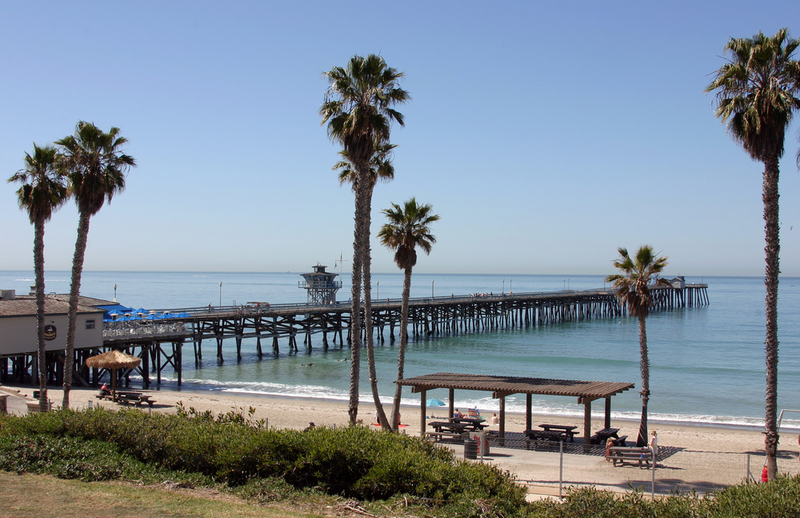 The city of San Clemente that surrounds the pier is in Orange County, California. It is located on California’s coast, midway between Los Angeles and San Diego at the southern tip of the county. The city of San Clemente is renowned for its ocean, hill and mountain views. It has a temperate climate. The Spanish influence is also evident in the architecture. In fact, the city of San Clemente has been dubbed “Spanish village by the sea” because of its Spanish flair. Visitors flock to the San Clemente Pier because of its intense winds and dramatic location.